Driving in style is an unspoken rule on the John’s Creek roads, and being behind the wheel of the Mercedes-Benz C-Class is one way to make heads turn and ensure you follow the rules. This model is available in both the coupe and sedan body styles, ensuring all drivers receive the look and comfort they crave. The sleek body styles with contoured edges and striking front fascias deliver a stance that is recognizable across Alpharetta and beyond. Plus, throw in the enhanced performance features, the latest safety technology, and a variety of new interior innovations, and you’ll never want to leave the cabin. The Mercedes-Benz C-Class models were meant to be driven by those who want to make heads turn. 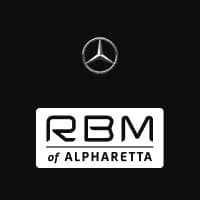 Compare the C-Class vs A-Class when you visit RBM of Alpharetta today, located at 345 McFarland Parkway in Alpharetta, GA, to see our inventory of the #1 luxury model, or contact us at 678-637-2333 to learn more about our vehicle financing.